Experience the comfort of EyeZen lenses - designed for a connected life. It is with great sorrow that we share news of the untimely passing of Sneh Sejpar, who we lost to a brain haemorrhage on Monday 7th January, at the age of 31. Thank you for your support & understanding during this very difficult time. LOOKING FOR AN OPTOMETRY PRACTICE THAT SEES YOU AS AN INDIVIDUAL? At McAusland Optometrists, we’ve always had a reputation for putting our clients first. We love getting to know people, and are often complimented on our finely-tuned blend of clinical expertise, personalised service, and a refreshingly modern approach to technology. We like to take a very proactive approach to eyecare, and in 2018 we became one of the first practices in the country to achieve Eye Promise accreditation – a national mark of distinction designed to help members of the public identify practices that offer the highest quality of care. Spend a few minutes with us and you’ll learn that we’re incredibly passionate about good quality, great-looking eyewear. We love guiding people through our hand-picked selection of stylish frames, helping find the perfect frame & lens combination to help you see well and look great. Book an eye examination, contact lens fitting or style consultation from the comfort of your own home using our MySight portal and let us help you look, see and feel your best! I cannot thank you enough for all you have done for me. Your patient and thorough attention led to my being able to drive again. Independence restored! I so appreciate your professional care and expertise, but also your kindness and consideration. Thank you. My GP described the high street chains as the McDonalds of opticians, so I think you guys must be at least Michelin 5 star! Thank you so much for your care and your flexibility! I can see things I haven’t been able to see for years! Thank you so much for for giving me so much of your time. Thank you very much for your excellent diagnosis – proved totally correct! A first class, professional service in a friendly, relaxed environment. The best service and glasses I have ever had. 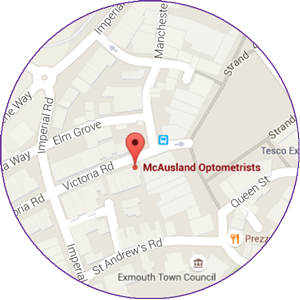 Run by husband & wife team, Keval & Sneh Sejpar, McAusland Optometrists is a proudly independent optical practice in Exmouth town centre. The practice was originally established in The Parade by Caroline & Andrew McAusland in 1984 and moved to its present location in Victoria Road in 1999. Keval & Sneh swapped leafy Hertfordshire for East Devon in June 2014 and ultimately took over the reins upon Caroline & Andrew's retirement in 2015. Much has changed since our inception in 1984, but our ethos has remained the same. We pride ourselves on keeping up with the latest developments in optometry as well as cutting-edge advances in technology to make sure that we can offer our patients the best possible eye care. This goes hand-in-hand with our reassuringly thorough approach to eye examinations – meaning you never feel rushed and there’s always time to ask us questions. We're also keen to make sure that our glasses are comfortable, stylish and unique - so we tend to promote smaller, more individual frame designers who produce more interesting, better-quality eyewear, and only use lenses that we know are going to help you achieve the very best vision. So, if you’re looking for something a little more individual – both in terms of style and service – you've come to the right place. 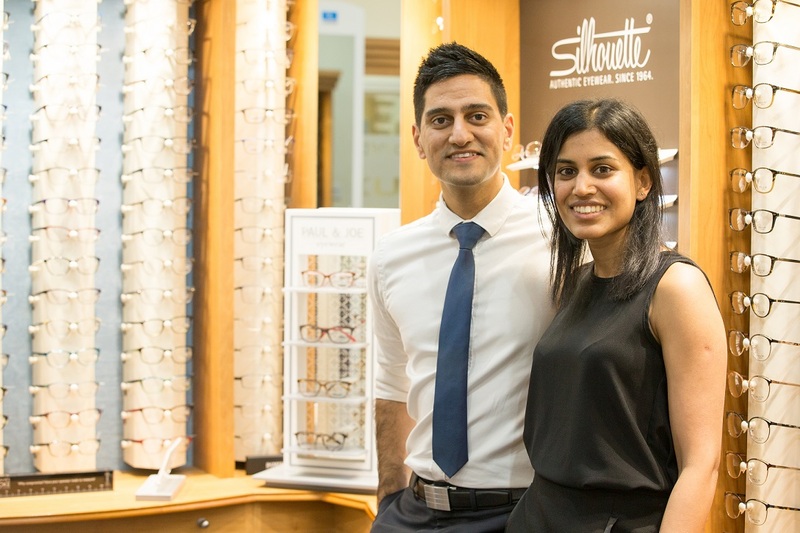 Ably supported by a strong and well-established team, Keval & Sneh love getting to know their clients - from grandparents to grandchildren - and we hope you'll choose us to look after your family's vision. Still not sure whether we're the right fit for you? Meet the Team or read about our Eyecare Plan.